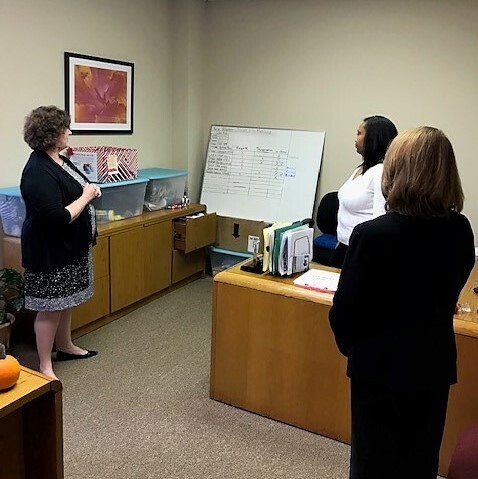 Members of the board of advisors of the Wake County Community Foundation recently conducted a site visit with the Center for Volunteer Caregiving, a recent grantee from the WCCF community grantmaking fund. Elaine Whitford, executive director (pictured above), and Shantel Hernandez, community engagement coordinator, discuss upcoming volunteer recruitment efforts at the Center for Volunteer Caregiving with Rebecca Leggett, WCCF board member. 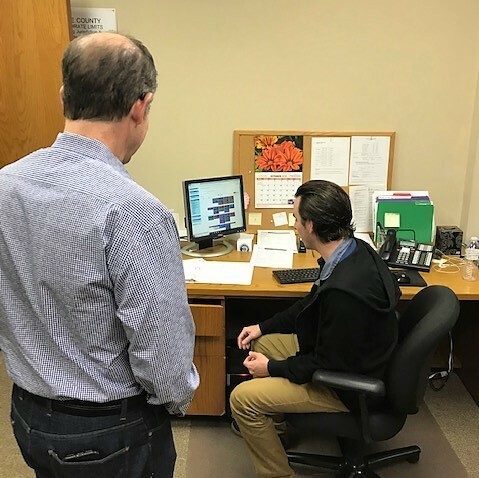 Sean Lanham, transportation program coordinator (pictured above), demonstrates the online scheduling system for volunteer drivers, with WCCF board member Randy Cagan. This new tool through Salesforce has made the recruitment and placement of volunteer drivers more efficient. 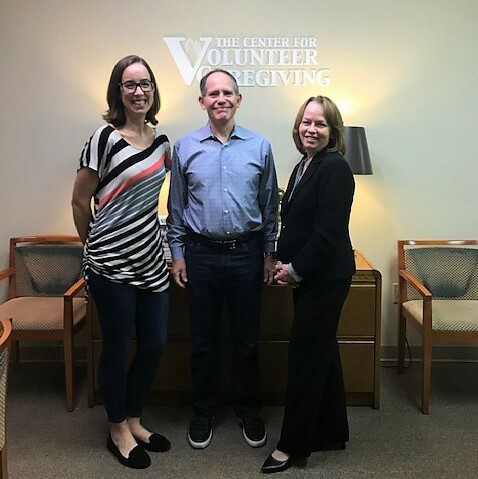 Ellen Gorham, Randy Cagan and Rebecca Leggett (pictured above), board members of the Wake County Community Foundation, recently visited the Center for Volunteer Caregiving in Cary to learn more about how their 2018 grant is making an impact in Wake County.